Not much else is known about the event, other than this tidbit appearing on Boston.com, a web publication of The Boston Globe: Three surviving Medal of Honor recipients will be honored at Fenway Park before Game 1 of the World Series begins Wednesday. According to Peter Abraham, soldiers Salvatore Giunta, Clinton Romesha and William Swenson will be recognized before the first pitch. 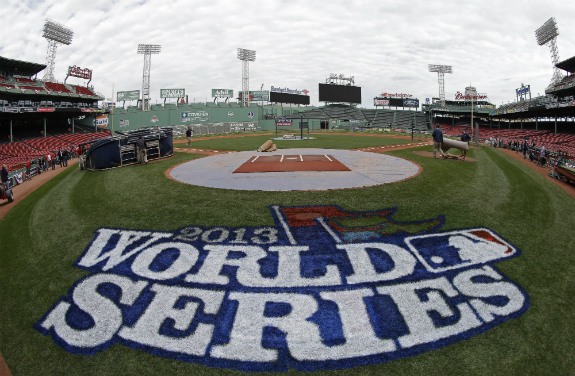 First pitch for the series opener between the Cardinals and Red Sox is scheduled for 8:07 p.m. In addition, Abraham reported, retired Marine Sgt. Dan Clark will perform “God Bless America” during the seventh-inning stretch.